The Gold Edition was also advertised as including 500 complimentary Crowns, although this was given to every account as of release. The Guilds and Glory DLC bundle was released alongside the Gold Edition on the Crown Store for 055005,500 . The bundle is sold as an alternative for those with pre-existing accounts to purchase. However, it does not come with the Palomino Horse mount. As of the announcement of the Summerset Chapter on March 21, 2018, the Gold Edition became unavailable to purchase from the PC/Mac Store and Steam[verification needed — consoles? 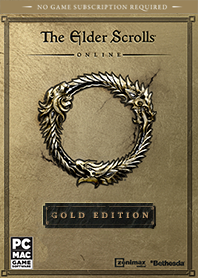 ], and was replaced with the Elder Scrolls Online Collection, which includes the content from the Gold Edition, and the Morrowind and Summerset Chapters.